These Powerpoint presentations were created by Benjamin W Snyder. 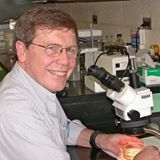 He passionately taught a variety of college biology courses at many colleges over the past 40 years. Just to name a few; Swarthmore, Vassar, Framingham State, and WPI. All of the Powerpoint presentations he has to date are too much to list, but these, he hopes will help teachers and students all over the world. You may download and use these as part of or entire class materials. Here are 22 powerpoints, also converted into PDF format, each one a basic biology course. If you have any question about anything related to these biology presentations, you may comment here. Ben Snyder often looks at this site and may be able to answer your questions. You have touched some pleasant factods here. Any way keep upp wrinting.